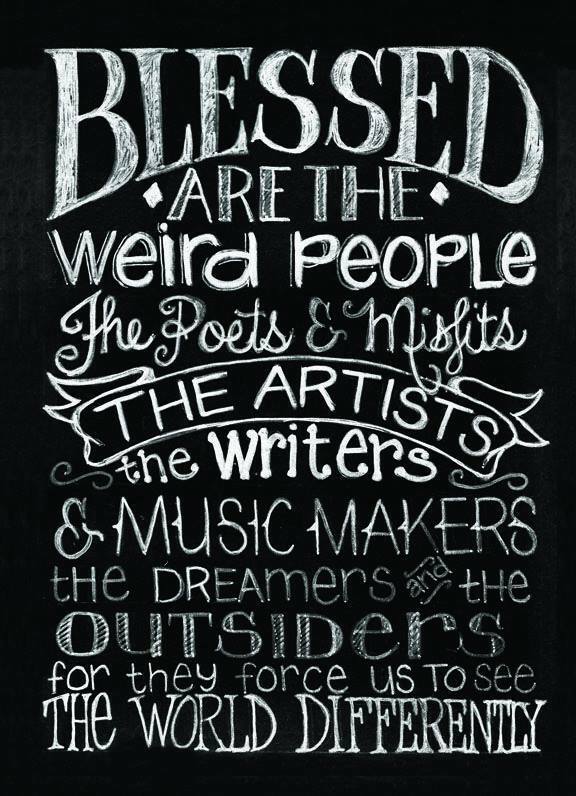 Blessed are the weird people, the poets & misfits, the artists, the writers & music makers, the dreamers, the outsiders for the force us to see the world differently. Love this! Thanks for sharing! If you’re ever interested in some great book reviews and musings, be sure to follow! Thanks!